A Marshfield, Wisconsin operation is recalling two products – including Fiji Companies Nature Mix – due to the potential for Listeria monocytogenes contamination. Fiji’s Companies was notified by SunOpta that there is a distinct chance that the products are contaminated with Listeria. SunOpta sunflower kernels and sunflower seeds have been responsible for hundreds of recalls in recent months. Some of those recalls have been made public; others have remained in the private arena. The first recalled product are 16 ounce plastic bags placed in circular tin reed containers with Figi’s Nature’s Mix packaged in the plastic bags. Nature’s Mix is packaged in a plastic bulk bag containing somewhere between eight and 12 ounces of product. Unfortunately, there is no lot information contained on the bag. The second recalled product are bags of 16 oz. 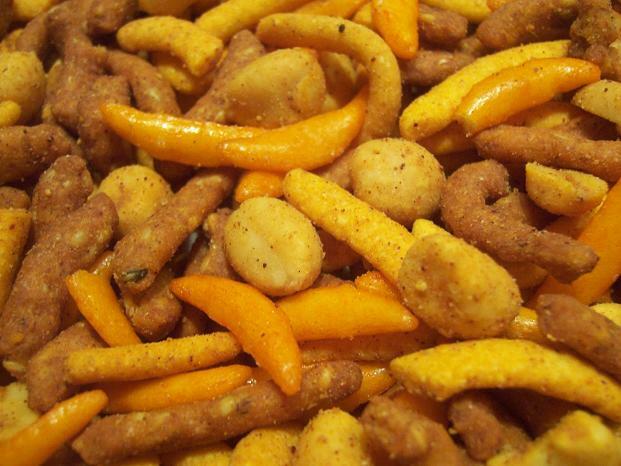 Snack Shoppe Hot & Spicy Cajun Snack Mix. The mix is packaged in a foil bag that is contained in a tin box; all recalled units are marked with lot HD116063 160ZHSMIX. The Hot & Spicy Cajun Mix was distributed by mail orders nationwide. The 16 ounce circular red tins were distributed nationwide through a distributor who then sold directly to end-point consumers. The Nature’s Mix sold in clear plastic bags were only distributed through Fiji’s Outlet Store. That store is located in Marshfield, Wisconsin. SunOpta, processor and distributor of sunflower kernels and sunflower seeds, notified Fiji’s Companies, Inc. that there was a potential for Listeria contamination. Consumers who purchased either of the recalled products – and, in the case of the Cajun Snack Mix, with the correct lot numbers – are urged to return them to a Fiji’s outlet. Any questions may be answered by contacting the company Monday-Friday, 7:00 am – 5:30 pm. If, however, you feel you have become ill as a result of consuming these products, we encourage you to give us a call and obtain a free case evaluation.